EDMONTON - A group representing Canadian retailers says eight of Canada's largest supermarket chains have signed on with a push to eliminate factory-farming pens that restrict the movement of pregnant pigs. The Retail Council of Canada says Walmart Canada, Costco Canada, Metro (TSX:MRU.A), Loblaw (TSX:L), Safeway Canada, Federated Co-operatives, Sobey's and Co-op Atlantic have all committed to sourcing their pork from farmers who don't use so-called gestational crates. Animal-welfare groups have been pushing for the change, but it won't happen over night. The retail council says participating chains will make the transition over nine years. Dave Wilkes, the retail council's senior vice-president, believes the long timeline will allow producers the necessary time to establish new open housing arrangements in their barns. "The Canadian pork industry is certainly facing some pressures financially and otherwise, so we wanted to establish a realistic time frame for producers to meet these alternative housing agreements," said Wilkes. The hope is that it will soften the price impact of products on store shelves. "Certainly this is one of the reasons for the transition period being as long as it is," said Vic Huard, vice-president of corporate affairs for Federated Co-operatives. "It's not something you can do quickly. It's very important for us that when this transition occurs, there are dramatic impacts on pricing for our consumers. I think that's certainly something we are acutely conscious of, and it is very important from the consumers' point of view that they not see dramatic impacts on pricing." The End of Cowshwitz: Will Ethical Bacon & Eggs be Coming to Cowtown? The tightly confining gestational crates, in which pregnant sows are unable to turn around or lay down, have been used in factory farming for decades to easily manage the animals and prevent injuries from aggression between the animals. 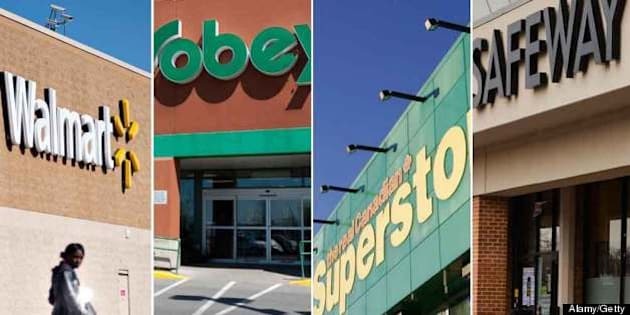 In March, Calgary Co-op members voted in favour of a resolution calling for the retail chain to phase out the sale of eggs and pork produced using intensive confinement cages. The Calgary Herald reported that the motion was amended to extend the deadline to five years. In early April, coffee shop giant Tim Hortons (TSX:THI) announced that it had asked its suppliers to move away from the crates as well. The switch to more open housing will require industry-wide effort, said Gary Stordy with the Canadian Pork Council. "With open housing, it's not as easy to provide individual care," said Stordy. "There's more aggressiveness with the animals, so there has to be an understanding of how to minimize the negative effects with the change to a new system. "This is a change that does require some thorough research on how barns can be adapted of course."